The day finally arrived when I was able to take my daughter to see Les Mis in the theatre. This was a movie that I was really looking forward to as I had read the book in high school and seen the stage production several times. The book and the stage play both have brought me to tears and so seeing the movie was an anticipated delight. 5. If you must sob (which you just might have to do) sob into your scarf which will be distributed to you if you do not bring your own. I was looking forward to a reasonable movie experience this afternoon as the crowd began to fill in with people who appeared to have an appreciation of broadway musicals. There were several people with the obscene sized buckets of popcorn but as they appeared to be theatre people my expectation was that they would settle down and chew with their mouths closed at the very least. I am not a theatre snob (although I am spelling theatre with the r first throughout this entire post to point out my exasperation). That being said, we sat through roughly 10 previews for upcoming movies and the smacking of popcorn eaters was fairly audible. I had adjusted my tolerance level to this interference with the movie hopeful that they would finish their popcorn about 10 minutes into the show. Then just before the actual movie was about to start a perky youngish possibly 20-something year old girl sat down next to me. Apparently her friend one seat away had been saving this seat for her. Not a problem. I don't mind sitting in a packed theatre. But then, just as the movie started, she reached her hand into her deep hippy style handbag and after some rattling around pulled out the biggest, crunchiest apple I had ever seen. She proceeded to crunch through and slurp through this apple with the delicacy of a lumberjack. "Are you FREAKIN' KIDDING ME? An Apple?" I didn't do that but I wanted to. She seemed to enjoy this apple up until the I Dreamed a Dream. I sighed with relief as the apple core went into a napkin and back into the deep hippy style purse. But NO. She wasn't quite done yet. She rattled around some more and found some kind of food item that was in a rattley wrapper. She pulled out a piece and, rattling this rattley wrapper to the extent that one could, she popped whatever it was into her mouth. Then, apparently, it occurred to her how rude she had just been and offered some to her friend. I am trying to focus on the amazing performance of Anne Hathaway when apparently whatever it was in her mouth suddenly made her quite thirsty. So, she reached back into her deep hippy style bag and pulled out some kind of large water bottle. It might seem like I am exaggerating about this BUT I AM NOT. Somehow this water bottle was the only one in the world I have ever heard that squeaked every time she loosened the top to take a sip. And back to the squeaking as she put the cap back on. But perhaps she was settled in now. She had her apple, her candy, and her water, so now we could just sit back and enjoy the show. Her phone starts buzzing. Politely, as not to interrupt the other theatre goers she only responded by texting back whoever it was who was calling her - although it just happened at a very dark scene in the movie and the light from her cell phone bore into the side of my head like one of the bayonets on the front of the french rifles seen in the movie. All that texting apparently made her thirsty again. Sqeak Slurp Gulp Squeak Squeak Squeak. Again I almost stood up and yelled "ARE YOU FREAKIN KIDDING ME?" Leave the top off the water bottle and put it in the cup holder - you know you are going to want another sip just at about the point in time that I am thinking that I am going to actually be able to focus on this movie. But noooooo. About this point in the movie everyone else in the theatre had run out of popcorn and that sound had gone away almost completely. With a start - she bolts up! The water had done its work and she was off to dash to the bathroom. A few minutes reprieve. But as quickly as she had dashed up she was back. A little more rattling from the deep hippy style purse and then, not having anything else do (Other than just sit there and enjoy the movie), she started twirling the ends of her very long hippy hair. Not in the direction of her friend - that would be rude. No, she had invaded my space bubble and over the edge of the airplane rule of shared arm rests, twirling her long hippy style hair. I leaned a little more to my left to re-establish my comfortable space bubble. She had gone to the bathroom and was mercifully out of candy, food and water and I thought to myself - ok, Now I can enjoy the rest of the movie in peace. Then it happened. She started SOBBING. I mean I really can't blame her but I didn't actually think she really had had the time to get invested in the movie enough to bring herself to the point of sobbing. 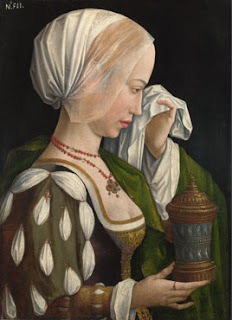 She wasn't just crying, weeping, or gently sobbing to herself. She was SOBBING. It was the loudest sobbing I had ever heard in a theatre. I looked around thinking am I on some hidden camera show called "What would you do?". The movie theatre started turning up the lights before the movie was over - perhaps the lights were timed to go up when the movie was supposed to be over - but it wasn't. As the movie ended the theatre goers clapped and I sat there a little bit stunned. There were so many fabulous things about the movie but my short term memory was filled with Smack Slurp Gulp Bzzz, Rattle and Sobs. The theatre started to clear out and I asked my Father-in-Law how he liked the movie (he had seen the Broadway production onstage in London and NY). He LOVED the movie. I asked him what he thought about all the noise around us from the other theatre goers. He said "Noise? Oh I didn't get any of that - I left my hearing aid at home". 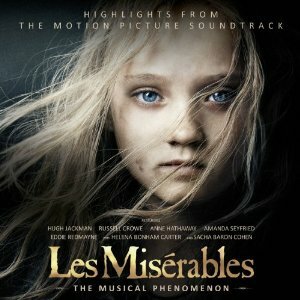 So, if you love Les Mis, you will LOVE this movie. Just leave your hearing aid at home. Great writing!! And when it comes out, Paul and I would love to come to your living room and watch it on the 82 inch screen following the rules you have posted!! Mary, I go to a lovely "arty" theater (re) in Plano. It has a full bar and a full menu. Last time I went, I made the mistake of ordering the hummus. I didn't think about the chrunchiness of crudités and assumed my pita chips would be pita bread slices. so, I tried to sort of gum my carrots until an explosion or mob scene... lesson learned.